Going great guns at the Playground, with new content for you! Remember the old stories from the old Playground? Now, by popular demand, they’re available again! Just check out the Stories link on the site! And completely free to read! ISB continues to post on The Fridge at the rate of a page a day! (there was a hiccup in the server so it skipped a day; I uploaded two pages today to make up for it!) I’m very happy to be providing content for all the fans– and if you want to support making MORE content, the complete ISB issues are available for print or download purchase thru lulu.com! Speaking of which, the entire Diaperman Graphic Novel is posting a page a day over at Two Gargoyles Comics’ page– click on over there for your diapered superhero updates! Speaking of making content, Cwoissant is banging on with our newest diaper comic, Gang Trouble! 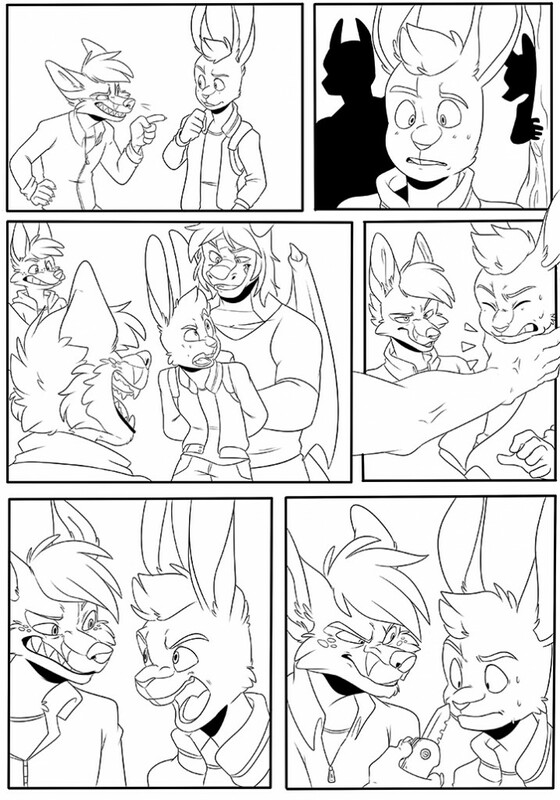 Here’s a preview of her amazing inks on Page 2! Be sure to watch this space for updates on when the issue will come out! Folks, communties like this one depend on word-of-mouth. Please do what you can to spread the word about the Playground: On websites, links, chats, anywhere you can. Please follow Karis’ Playground on Facebook, Twitter, and Tumblr!